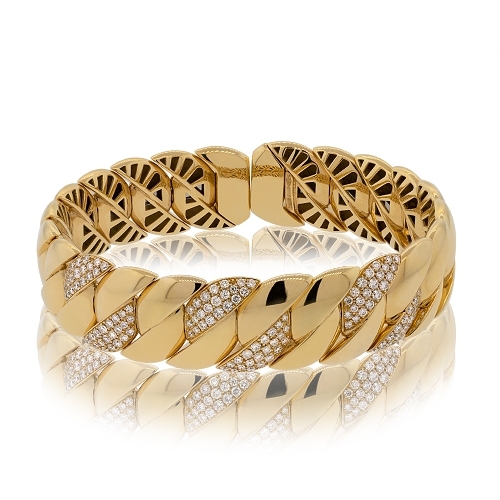 Polished gold link bracelet with diamond accents. Diamonds approx. 1.32ct.